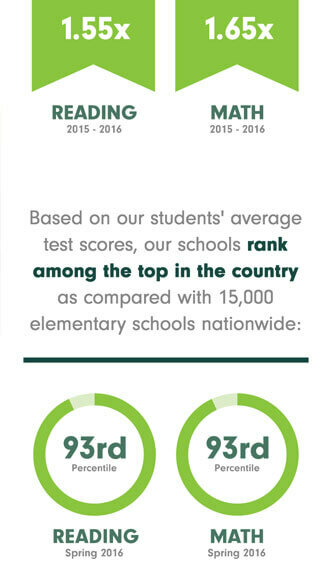 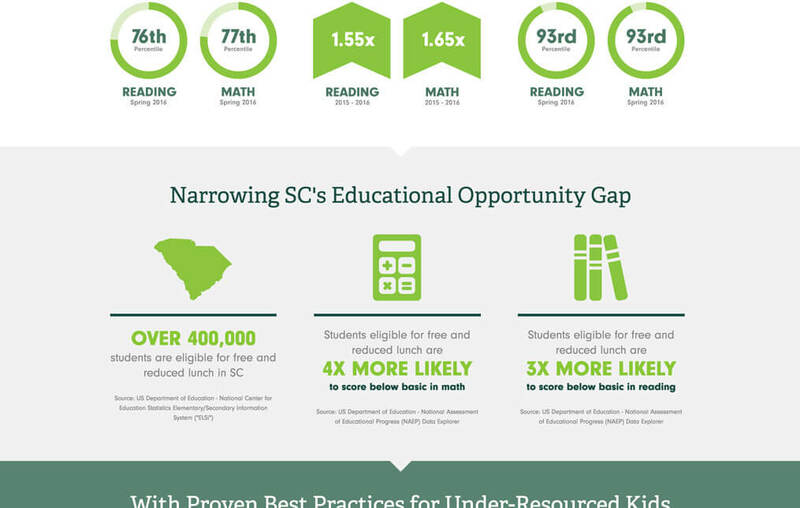 Meeting Street Schools is transforming the way under-resourced children are educated in South Carolina. 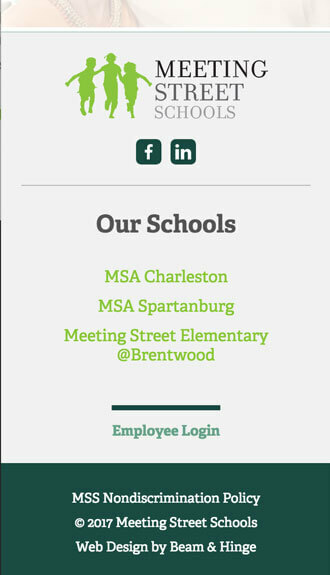 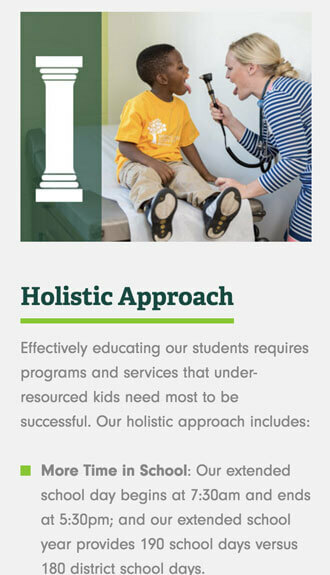 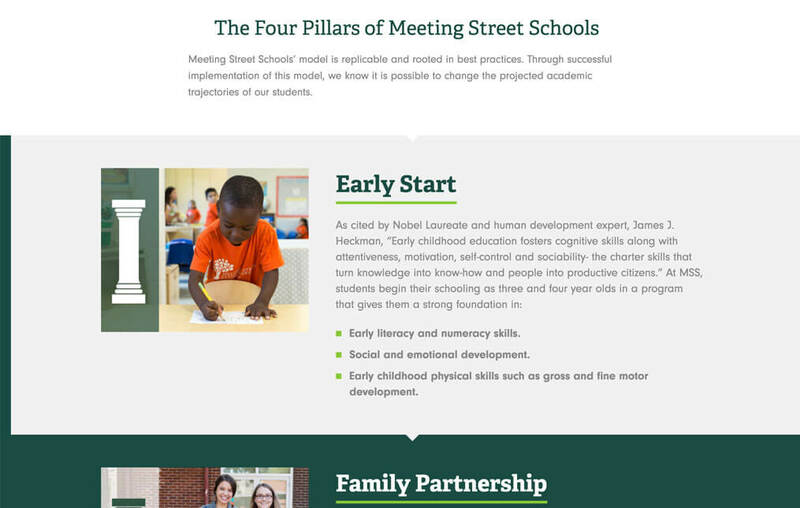 Beam & Hinge partnered with Meeting Street Schools to ensure their website visually showcases the schools’ outcomes and their unique approach to education. 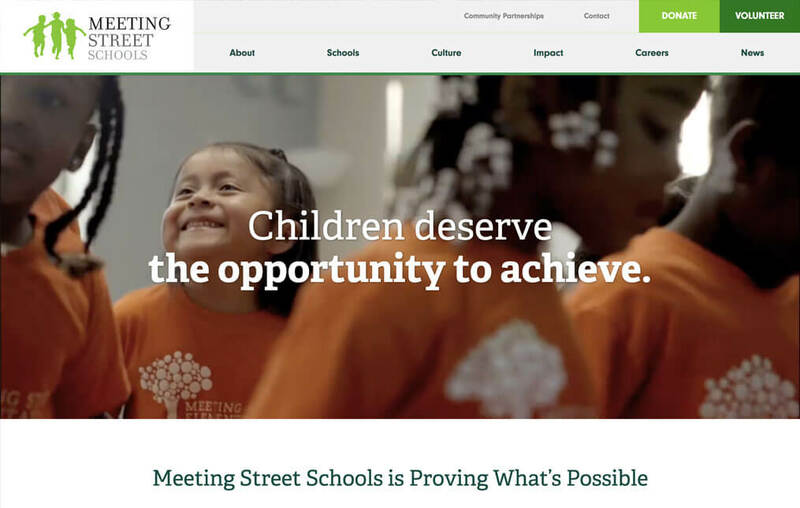 Engaging photography, compelling testimonials, and visible results help tell the story through a compelling web design of Meeting Street Schools’ impact in the communities in which they teach. 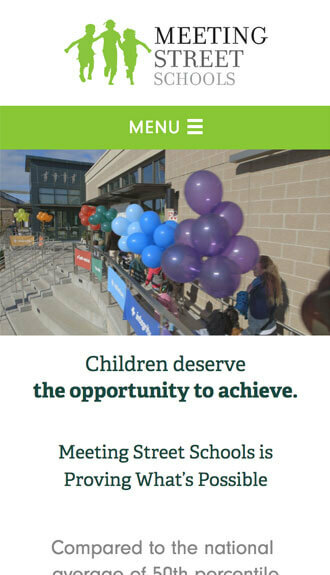 From conceptualization to publication, we were able to actualize our vision thanks to the talents of the amazing team at Beam & Hinge. 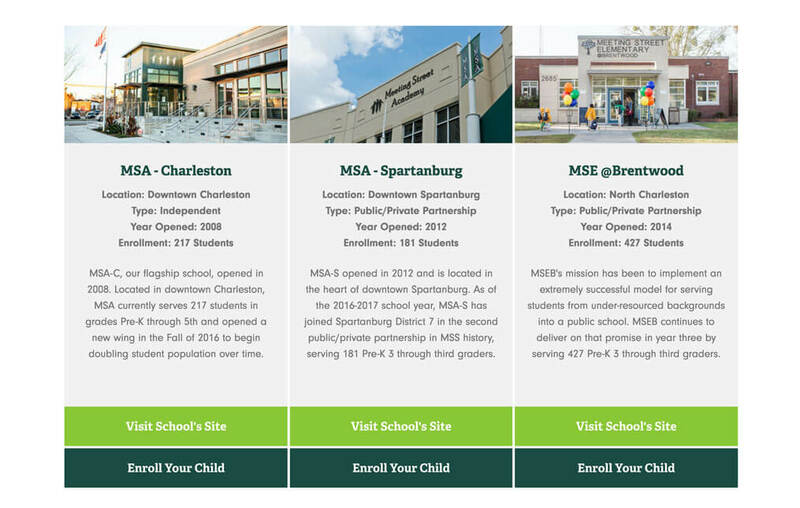 Through their support and expertise, we now have a fresh new look that captures the true essence of our mission to fundamentally change the way public schools serve students and families from under-resourced backgrounds.